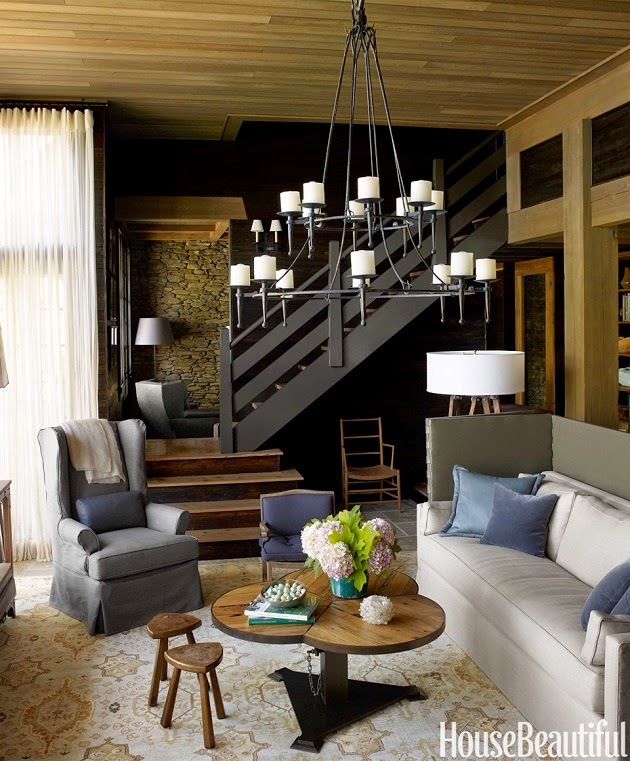 Mix and Chic: Home tour- A beautiful modern rustic Alabama lake house! Home tour- A beautiful modern rustic Alabama lake house! 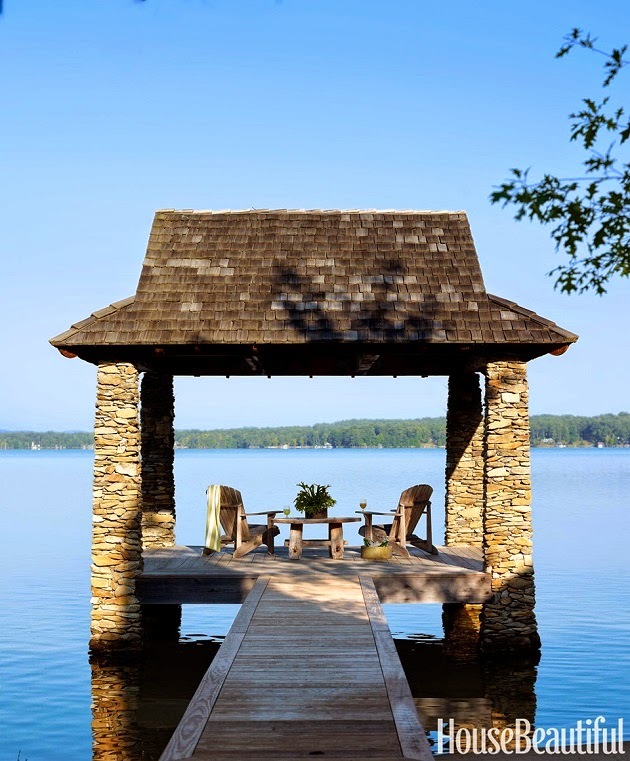 This Lake Martin, Alabama home is designed by Susan Ferrier. 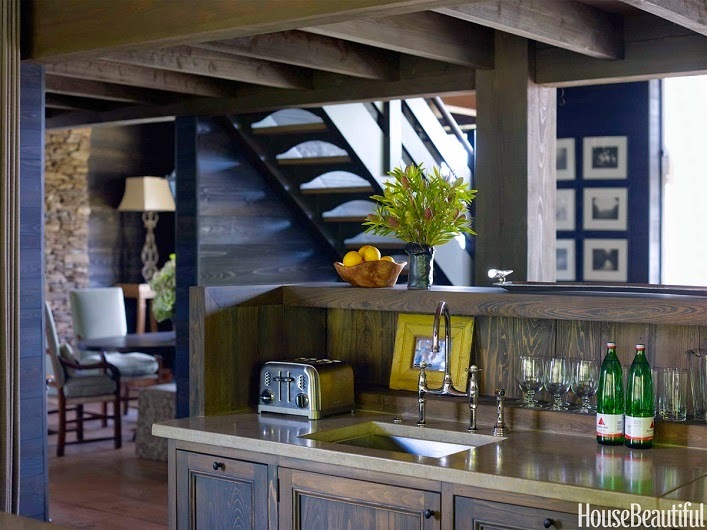 A lot of wood and earthy browns are used to resemble the look of cabin homes. Let's check out the results, shall we? This is pretty much my dream lake cabin home! Warm, slightly rustic with a modern touch, I found this lake house quite comfortable and refreshing. Although the walls of the entire home are decorated in ebony-stained woods, it feels cozy rather than claustrophobic, in my opinion. 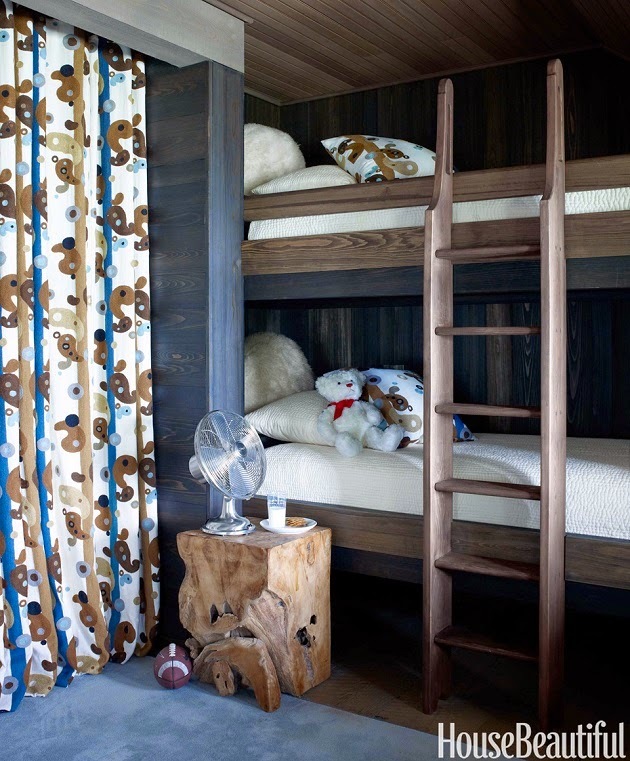 Every room is thoughtfully designed and there is a great flow from one room to another. 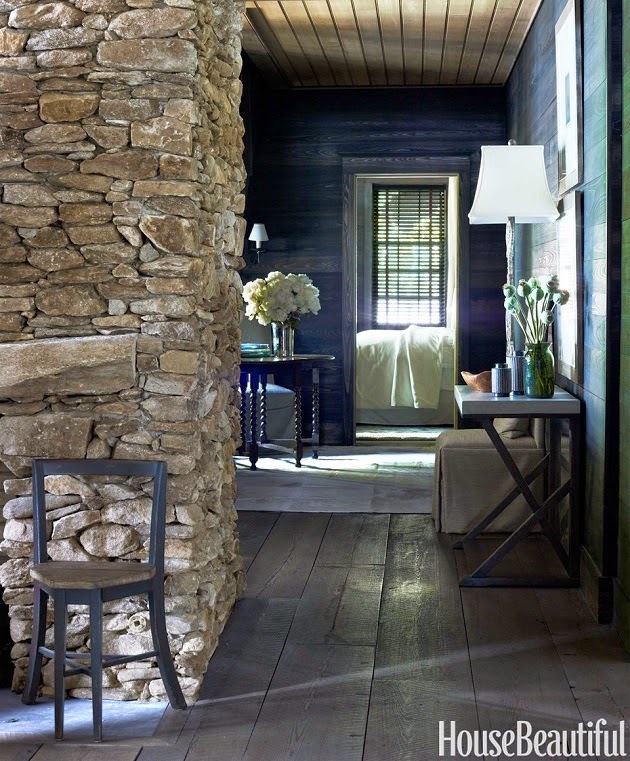 I think the dark walls are wonderfully executed and it works particularly well in this home. What do you think? Do you like the moody dark walls as much as I do? Would you paint any of your room a dark wall color? Thoughts? That is the most "elegant" cabin I have seen. It's lovely! Love all the wood...the floors are gorgeous! Such a beautiful home I particularly love the color scheme they chose to go with the wood in the home. OMG, I want to move here now!!!! It's the perfect home for the cool weather!Gushing over the black framed windows! I love this place!! I usually prefer super light walls, but I'm loving the cozy, kind of moody look these walls have. And it looks like this house gets a ton of light with all those windows, so it can handle the dark walls. They are actually my favorite part about it. Along with those wide planked wood floors. And the dock and little island; that would be so awesome! 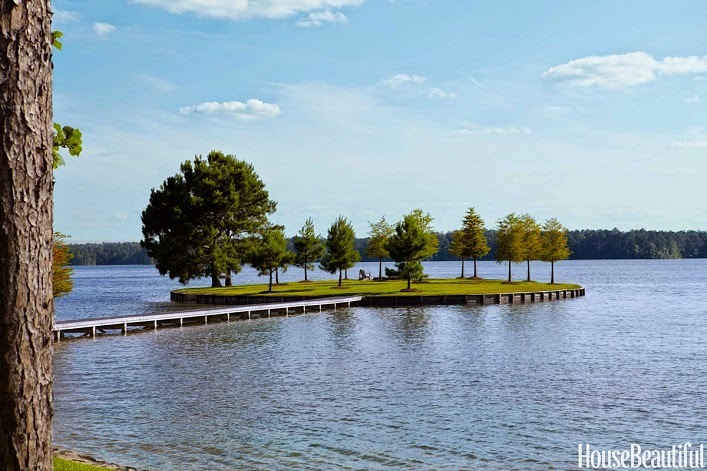 My sister and her husband have a place on Lake Martin and we spend a lot of weekends there....my son and his family are looking to buy a home there when the kids are a little older. Lake Martin is a spectacular place to live/visit...some gorgeous homes to see by boat and of course, inside as well!